Product prices and availability are accurate as of 2019-04-22 17:17:55 UTC and are subject to change. Any price and availability information displayed on http://www.amazon.co.uk/ at the time of purchase will apply to the purchase of this product. 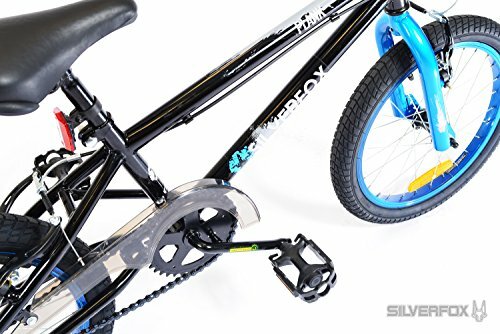 Right out of the Silverfox stable this little ones's Upgraded Plank BMX bike has an amazing seek to all along with its own breathtaking blue and black completed 9 in framework. The Silverfox Plank likewise provides piece de resistance along with its own BMX freestyle handlebars and freestyle tyres. 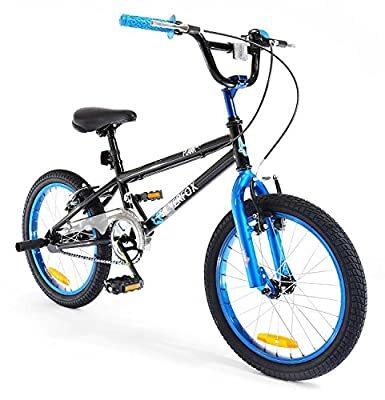 Frame Size: 9" / Frame: BMX style with Pivots for V-brakes / Brake Type: Dual V-Brakes / Brake Leavers: Two Finger V-Brakes, adjustable. Leg Size: 16-20" / Tyres: 18" x 1.95 Freestyle tread / Tyretubes: Schrader Valves / Chain: 1/2" x 1/8" x 90 links / Chainguard: 18" F-type, plastic. 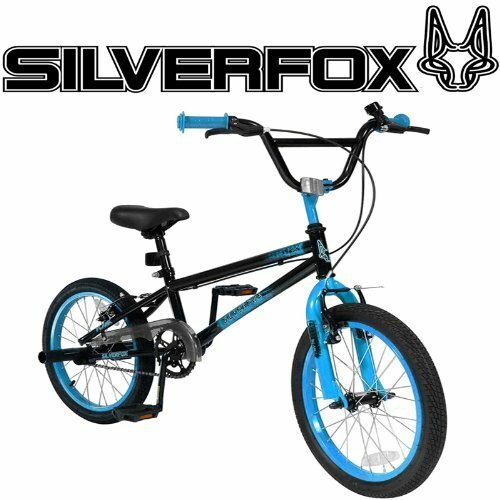 Wheel Size: 18" / Forks: 18" Unicrown BMX Forks / Saddle: BMX saddle, vinyl top with front and rear bumper. Handlebars: BMX freestyle with 22mm cross bar / Bottom Bracket: One piece BMX type / Material: Steel / Cycling Type: BMX / Gears: Single Speed. Suspension: Rigid / Gender: Unisex / Age Range: 7-9 Years / Weight: 11.5 Kg / Colour: Black and Blue / Model: MO36286.